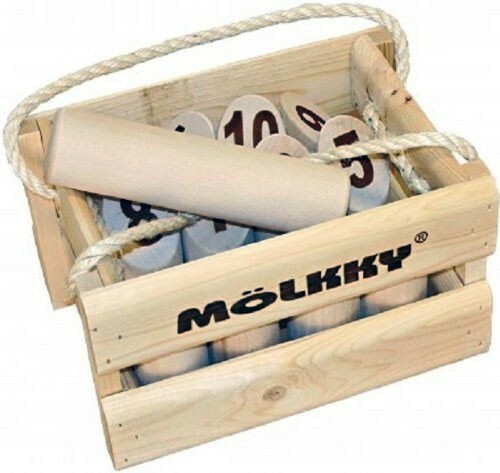 Mölkky is a Finnish lawn tossing game that is sweeping the nation! This yard game provides hours of fun for the whole family. Perfect to take camping, tailgating, or just out in the yard. 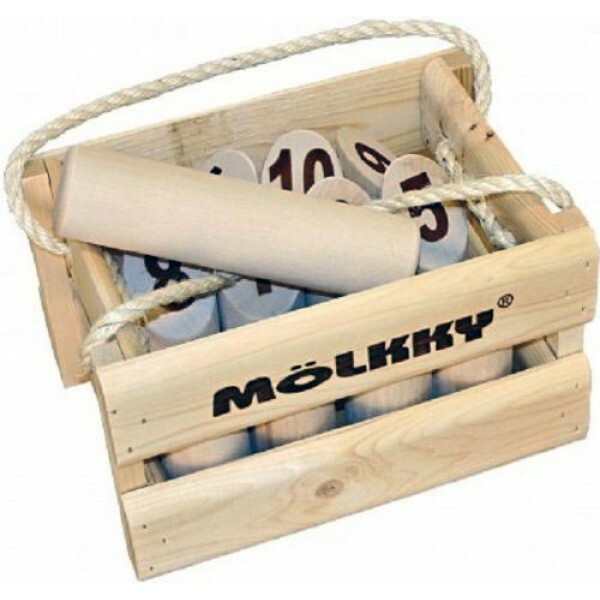 The Mölkky set is made of solid kiln-dried hardwood. Mölkky is a unique game involving strategy and skill. This outdoor game can be enjoyed by both young and old. Toss the throwing dowel underhand and knock over the skittles. Topple one skittle and get the amount of points branded on that skittle, topple multiple skittles and get the amount of points equaling the amount of skittles toppled. First one to 50 wins! 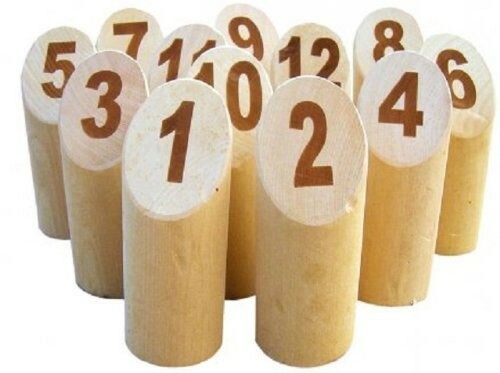 Perfect for teaching kids math skills and getting everyone outside and active!